How to make your pretzel butterfly: Melt the white chocolate chips in a microwave safe bowl, about 30 seconds at a time until the mixture is fairly smooth. Put the bottoms of 2 pretzel twists together and adhere together with the melted chocolate. Break off 2 pieces for antennas, and stick on with more melted chocolate. Dip the one side a gusher in the melted chocolate and place a different colored gusher to the outer holes in the pretzel twists. 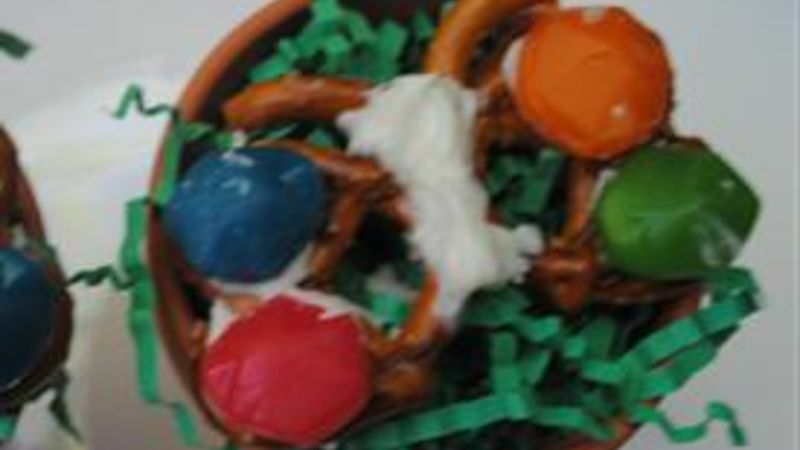 Let dry until the chocolate is hard to the touch and display creatively using terra cotta pots or even connecting the pretzels to lollipop sticks using melted chocolate!